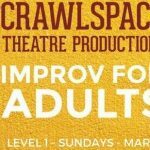 Crawlspace Theatre Productions is Kalamazoo’s home for improv and sketch comedy. 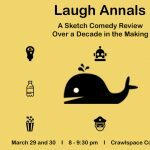 If you’ve got a craving for the odd, the spontaneous, and the hilarious, then you’ve stumbled onto the perfect place. 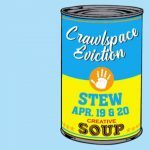 Crawlspace Theatre Production’s flagship team Crawlspace Eviction has been entertaining Kalamazoo with its improv and sketch comedy since 2003. 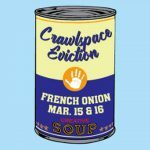 Crawlspace Theatre has produced many teams over the years including Kind of Pretty Women, Brotherhood, Two Timers, Man Love, and t&a. If you’ve got a funny bone, we’re sure to find a way to aggrevate it in all the right ways. We’re also available for parties and other social events. 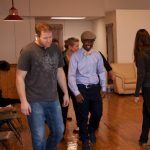 Whether it’s a show for the whole family, or something geared toward a professional audience, we’ll create a show based completely on your event. 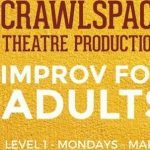 Just call 269-599-7390 to arrange for Crawlspace Theatre Productions to bring audience based comedy to your next event.